In 1863, coal mining began in the Seattle area. 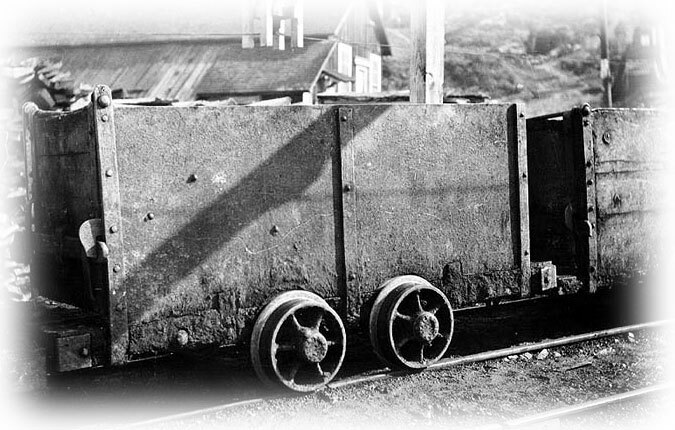 To bring coal from Newcastle to Seattle, the Seattle Coal & Transportation Company constructed a cumbersome system of railways and barges to haul trains of iron-wheeled wooden cars from the mines to Seattle. 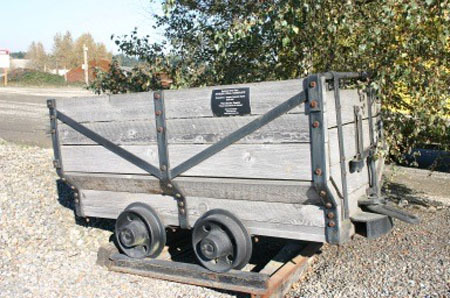 The first tramways were not much more than 6-inch wide wood rails covered in iron, but they allowed the coal cars to be moved from the mines without sinking into the often-wet soil of Puget Sound. Motive power came from men and horses. 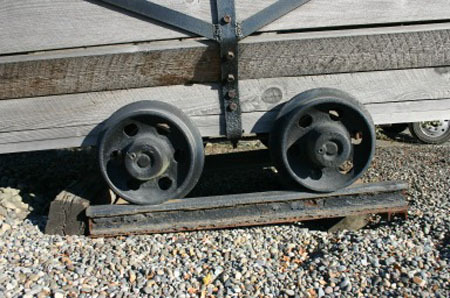 Each wooden car was capable of carrying two tons of coal. 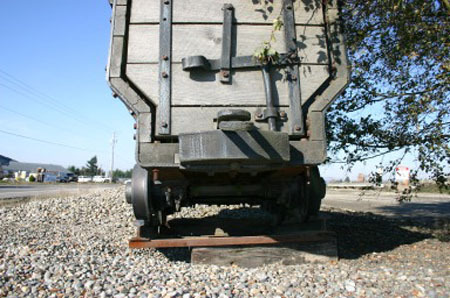 The coal cars are wooden boxes approximately eight feet long, four feet wide, and 2 1/2 feet high.